With Father’s Day just around the corner, it’s a good time to celebrate all the quirks, quips and quandaries that go with fatherhood, but especially all the sweet, sugary and special moments that loved ones share together. Whether it’s about dads, grandparents or other role models in your life, the connection is what’s important. 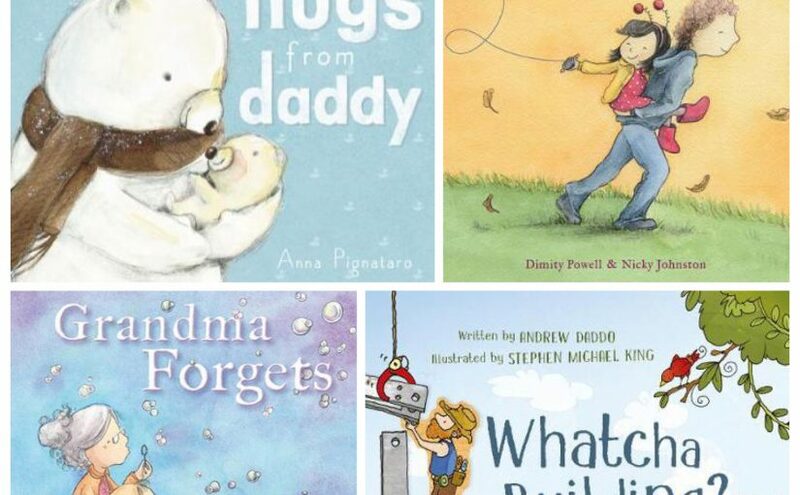 Here are a few special stories showcasing a mix of tenderly love, fatherly-figures and families with memories. 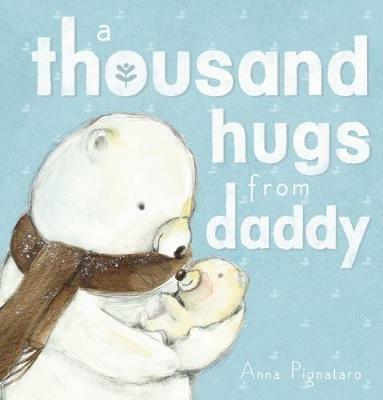 A Thousand Hugs from Daddy, Anna Pignataro (author, illus. ), Scholastic Australia, 2017. It’s true… one hug is never enough! For little people, it’s those big bear hugs, that comfort and warmth that helps them feel safe. From sailing paper boats on the ice, to playing catch in the clouds of snow, sheltering together from the fog and wind, and hopping from iceberg to iceberg, father and baby polar bear do everything together. Anna Pignataro’s soothing rhyming couplets glide effortlessly across the tongue and through this tender tale on the ice. Metaphorical descriptions beautifully tie in with her delicate and dreamy illustrations. Where “the climb is way too high”, daddy is there lifting him up to reach their paper boat. When it’s foggy, daddy is there holding his hand. Each verse sweetly portrays the love, security, encouragement and playfulness felt by the little cub towards his father, and ending with the phrase “And I’ll be happy as can be – one hug is not enough for me!” But at the end of the day, with a gentle goodnight hug, will one just be enough? A Thousand Hugs from Daddy oozes love, warmth and the unconditional support of a parent. The perfect bedtime story for children from two, when one giant bear hug can feel like a thousand hugs. Whatcha Building?, Andrew Daddo (author), Stephen Michael King (illus. 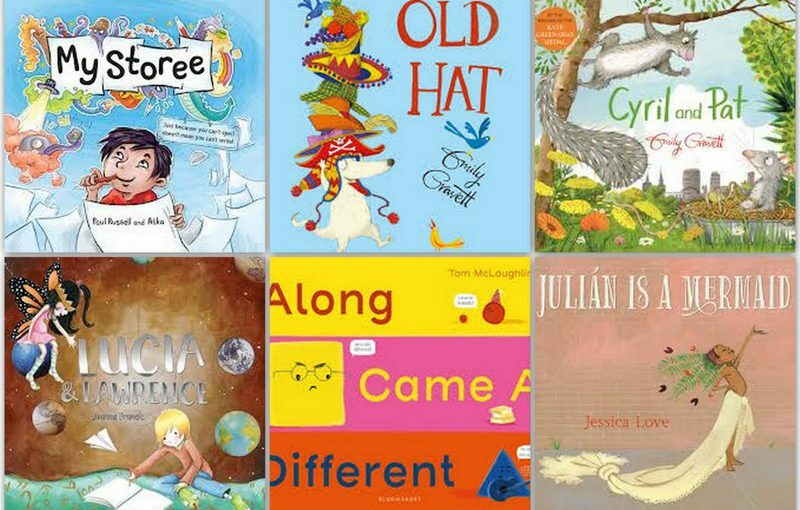 ), ABC Books, 2017. Not as much a story about fathers but rather an ode to father-figures and tasks you could tackle together. Particularly if you have a soft spot for construction and a cup of tea! 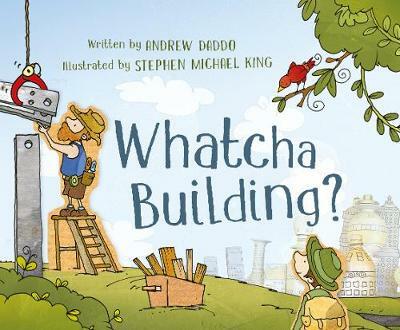 Whatcha Building? relays a wonderful message of community and awareness of recycling and sustainability. The text and illustrations are carefully considered whilst absolutely entertaining us at the same time. Although with little dialogue on Davey’s part, the bond between him and the builder is undeniable with their mutual respect and subtle banter. 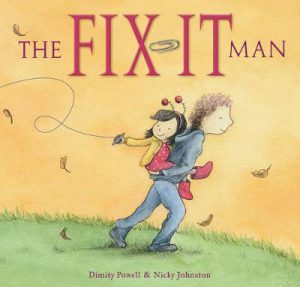 A down-to-earth book to share with dads; a reading experience that is sure to be recycled over and over. 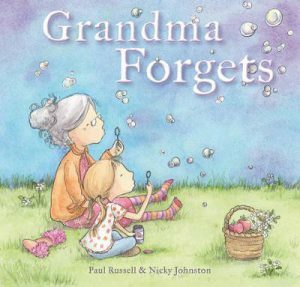 Grandma Forgets, Paul Russell (author), Nicky Johnston (illus. ), EK Books, 2017. When an ageing loved one suffers from dementia, the whole family is affected. But the resilience and maturity of the little girl narrating this story is truly admirable. Taking what often is a disheartening situation and turning it into a wonderfully positive and bonding experience is how the grandchildren and their parents treat Grandma. 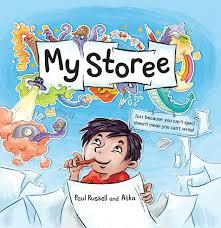 Paul Russell’s story provides readers valuable opportunities to share old and plan for new memories with their parents and grandparents. In this case, the Dad’s heart is heavy as his mother forgets, but the brother and sister ensure ways of continuing Grandma’s involvement and inclusion as a valued and loved family member. 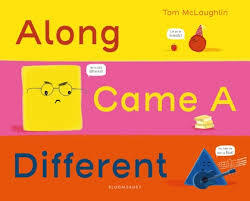 There are plenty of joyful and playful moments throughout the book that subdue some of that heaviness to make it such a light-hearted and ‘memorable’ read. With Nicky Johnston’s beautifully nostalgic, vibrant and emotive illustrations, Grandma Forgets is a meaningful and powerful story that youngsters will adore sharing with their loved ones at any time of the year. And for another favourite to share with Dad is the “poignant, perfectly pitched and picture perfect”; The Fix-It Man by Dimity Powell and Nicky Johnston. A deeply significant, achingly heartbreaking and heartwarming tale, all at the same time. You can read more of my previous review of this beautiful book here. Happy Father’s, Grandfather’s and Special Person’s Day to all the admirable, caring and supportive men who do so much for your loved ones.